If you’re trying to find a Connecticut driving records request, you might think the only way to do so is to physically visit a Connecticut DMV office. But the internet now gives you more options to access driver record information than have ever been available before. With just an internet connection and a compatible device, you can file a driving records request from your own home. Here are a few ways that you can find this information. Your first option is to check out the Connecticut DMV website. They will help you find the address of your local DMV. 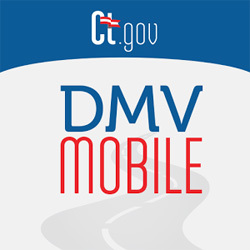 Head down to your local Connecticut DMV office, spend some time waiting in line, fill out their driving request form and turn it in. If you are requesting your own driving records, present your driver’s license and the DMV will print a copy for you. You also have the option of printing out a driving records request form from the DMV website and mailing it to them. After you’ve paid their fee and waited a few weeks, the records should show up in the mail. If you’re simply concerned about the status of your driver’s license, the Connecticut DMV does have an online credential verification tool. However, you will have to wait for the results of this search and it does not provide detailed driving records. The second, more convenient option for accessing Connecticut driving records is to search with a public records database online. Online databases are available to anyone with a computer or smartphone and an internet connection. To get started, you will need to enter the state and a first and last name. Because this is all defined as public and legally accessible information by the Freedom of Information Act of 1966 (FOIA), you can search multiple records without concern. Because people commonly share first and last names, you have the option of narrowing your search by address or age. Anyone is free to access Connecticut driving records. Obtaining driving records online is commonly only useful for verification purposes, and a copy issued by your local Connecticut DMV office may be necessary for any official reasons. A record of my drivers history free please. We can certainly help you out with a Connecticut driving records search. We will need your full name, middle initial and county of residence to lookup your Connecticut driver history. Many times people have the same first and last name so we need additional information to verify that we have the correct driver history for the correct person. I need to get a current 5 year driving record from CT, I have moved to WA state and am applying for a job in Kent, WA, which requires a current 5 year driving record abstract for a Paratransit Bus Driver position. In order to obtain an 5 year Connecticut driving record for employment you will want to reach out to the Connecticut DMV as they can issue you a certified copy of your driving record you can use for employment, academic applications, rental agreements and security clearances.